Jimmy Fallon's everywhere these days. In the last week alone, you may have seen him interviewed on a talk show; caught him on a commercial; eaten his Ben & Jerry's ice cream flavor; heard him deejay the top 40 countdown on the radio; and—oh yeah—watched him host his own late night talk show five nights a week. And next weekend, Fallon returns to his comedy alma mater Saturday Night Live to host the show's big holiday episode. 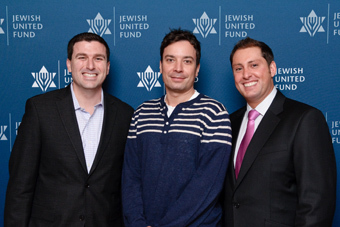 But this past Saturday night, Dec. 10, Fallon hung out only with us. Check out my interview with Fallon. He stopped by Chicago to spread some pre-Chanukah cheer to the more than 2,600 young Jewish Chicagoans at the Young Leadership Division's (YLD) fourth Annual Big Event-the largest event in YLD history. The evening, held at the Sheraton Chicago, kicked off YLD's 2012 Annual Campaign, and featured a performance by Fallon, a comedian, actor, writer, and musician. Fallon carries on the Late Night legacy, begun by David Letterman and Conan O'Brien, and premiered his NBC talk show Late Night With Jimmy Fallon in the spring of 2009. Born in Brooklyn and raised in Upstate New York, he worshiped Saturday Night Live (SNL) as a kid, which proved prophetic when he was cast on the show from 1998-2004. Later, the Manhattan-based star left the show to pursue film, including movies like Fever Pitch and Taxi. The audience watched two videos: one video described the importance of helping those in need here in Chicago and in Israel. A second film conveyed what being Jewish and giving back means to young Chicago-area Jews. Jason Chess, YLD president, was thrilled with the size of the crowd. "We never expected to sell out the hotel's main ballroom for YLD's Big Event—it's as long as a football field," Chess said. "Among the record sellout crowd, many of them were first-time donors to YLD and JUF—that's very powerful. 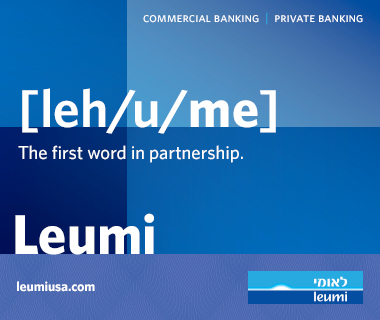 The JUF message is being spread widely among the YLD generation and the future Jewish leaders of Chicago." 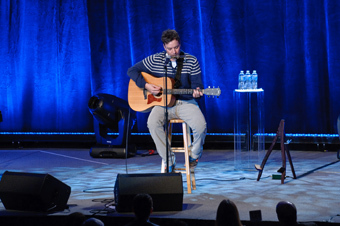 Chess introduced Fallon to the stage, along with Jewish comedian/musician Wayne Federman, a surprise opening act. Federman, who has written for Fallon's show, has played comedic roles in Curb Your Enthusiasm and 40-Year-Old Virgin, among others. During his act, Federman explored his Jewish identity and riffed on the branches of Judaism as well as Chanukah gelt dredging up old Jewish stereotypes. Then, he commented on his own topsy-turvy Jewish migration pattern. "I grew up in Florida," he said, "and then moved to New York City, where I worked, and then I'm going to retire to Minsk-I'm doing the whole thing backwards." After all, Fallon comes across as a grateful person, who feels privileged to do what he does and doesn't take his success for granted. In fact, during the Big Event show, every now and then he'd call out to the crowd how honored he was to be there. "Thank you guys so much," he'd say. "I'm having such a fun time." The Irish-Catholic comedian, who once considered becoming a priest, expressed his admiration for the Jewish people, including a shout-out to Jewish mothers. "I want to say thank you to all the Jewish moms I met backstage," he said. "I got offered 10-15 dishes of food-I'm not kidding-in the span of five minutes. It was so awesome and cute." 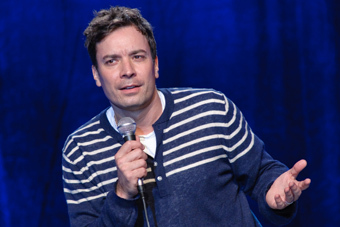 Fallon interspersed his standup comedy with impersonations, sample "thank you" notes from his book, and musical song parodies, including a kumbaya song called "Carwash for Peace." "Well I'm so sick of all the news on TV," his song began. "All this fighting got me going crazy…let's have a carwash for peace. There's trouble in the Middle East. Put down those guns and pick up a sponge-carwash for peace." The 30-something married comedian—sorry Ladies!—peppered his act with banter with the audience. "Hey, what do you do?" he asked a guy named Jim in the front row. "Investment business," Jim responded. Fallon nodded and simply replied, "1 percent," referring to the "Occupy Wall Street" news headlines. Fallon continued his dialogue with the crowd. "There are so many good looking people [here]—there's a Jewish Taylor Lautner," Fallon said, referring to the pretty boy star of the teen werewolf movie phenomenon Twilight. Nowadays, he said, teens appropriately play high school students in movies, but back in the 1970s, actors like John Travolta played roles way too young for their real age. Then Fallon morphed into Travolta in Grease. "I can't believe I'm a high school student…" he said. "I'm going to be late for class because I've got to go get my prostate checked…Rizzo's going through menopause." In addition to his Travolta, Fallon impersonated a slew of celebrities, including Jerry Seinfeld, Bill Cosby, Chris Rock, Robin Williams, and Adam Sandler. Plus, he did musical impressions on guitar and harmonica of singers Neil Young and Bob Dylan crooning the TV theme songs to The Fresh Prince of Bel Air and Charles in Charge. Before the show ended, the comedian tested some material that he may perform on Saturday Night Live next weekend. "Anyone here on Friendster?" Fallon polled the crowd, referring to a bygone social networking site of five years ago-an eternity in the rapidly changing tech world. Then, he tried again: "You guys are all on Facebook, right?" he asked, followed by his medley of songs by current musicians like Cee Lo Green, Lady Gaga, Katy Perry, and Justin Bieber, changing their lyrics to Facebook-related themes. Fallon's play on teen pop idol Justin Bieber's hit song "Baby," went like this: "I got the invite to your event. I ignored it so you resent. I know I'm on your mailing list. But I don't want to go to your nephew's bris. So I'm a maybe maybe maybe oh…"
And speaking of maybes, maybe he'll play that song next week on Saturday Night Live, but the young Jews of Chicago heard it first. A special thank you to the Birthright Israel Foundation for their generous support of YLD's Big Event. YLD's Big Event Supporting Sponsors were Chubb Group of Insurance Companies and Associated Agencies, Inc., Eleven City Diner, and The Great Escape. 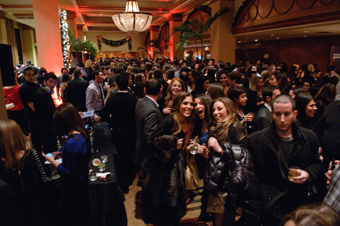 The Event Sponsors were Chicago Apartment Finders, Hub51, JFS Realty Capital, LTD, Paris Club, Steve's Deli, and T-Mobile.